Unless you have been wandering around with a bucket on your head, you have probably seen that Apple launched a heavily debated campaign last Christmas, trying to prove you once more the multitude of reasons why you’d need a Mac. However, the PC fought back, and the battle continues. This is overall a quite interesting concept and many people have tried to follow. I have found this funny comic strip that is trying to represent the differences between an iPhone and a Smartphone and which I will be reproducing further. I’m looking forward to hear your comments. We’ll start with the beginning, the case is supposed to be one of the main attractions of your system. There was a trend of highly sophisticated cases with neons and glowing fans, but that’s all over now. The new hype consists in components showing as much as possible, preferably mounted on a wall or floating in thin air as shown here. Now that we’ve got over that we should cover the basic input, like a keyboard. But classic keyboards have many a problem, such as dirt getting between the keys, you have to bother your fingers with pushing buttons all day, not cool at all. 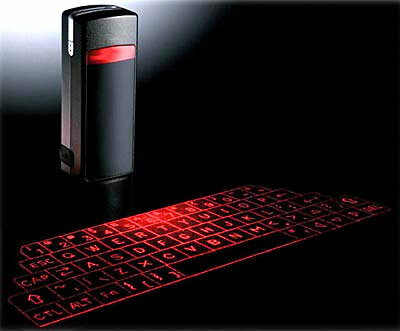 What you really need is a small, compact, easy to use and to carry, Bluetooth Laser Virtual Keyboard. It uses rechargeable batteries that last for 120 min, and it has a height of only 3.5 inches. The mouse is not just a pointing tool, it’s the extension of your mind within the computer. Hence it must be perfectly adapted to your needs. 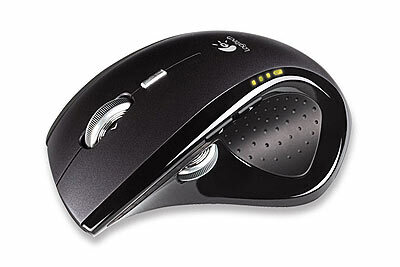 Such mouse must be ergonomic, precise, and smart. The Logitech MX Revolution does all that and a lot more. It senses what application you are using and switches the scrolling mode concordantly, you can turn the wheel ‘click’ on and off and it has a neat Li-Ion battery. A monitor must be large. 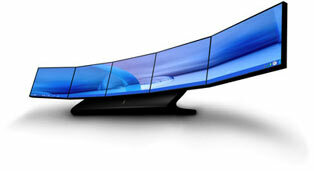 This is the rule when talking about monitors now-days, large, slim and bright. Well the Athens Flat-Panel Monitor sure is large measuring 5 meters in width (that’s 5 ‘normal’ monitors) and it supports resolutions of 19200×2400 pixel. That’s HD and pure visual enjoyment. On the other hand it seems that it’s not the best commercial product as the company making them went out of business, nevertheless this is a must for your supersystem. Last but not least the sound system is crucial for the ultimate PC. The sound must not be a addon, it has to be am integrated part of your system. It has to be all around you and it has to provide the clearest sound for you to enjoy. 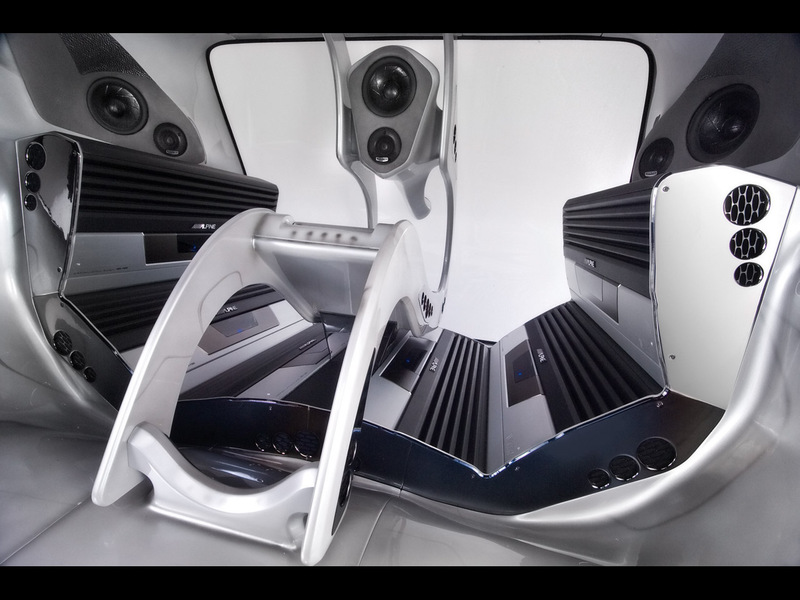 Such immersion can be obtained only with a machine as the one showed below, that’s capable of putting you in the middle of the audio storm. Grace to Alpine. There you have it, the base for the ideal PC, I’m sure that you can find better examples for each category, but the main idea is the same. Watch out for the supercomputer! Meet the phone that’s as good looking as the iPhone, but impossible to manufacture. My first impression was “Wow.”. 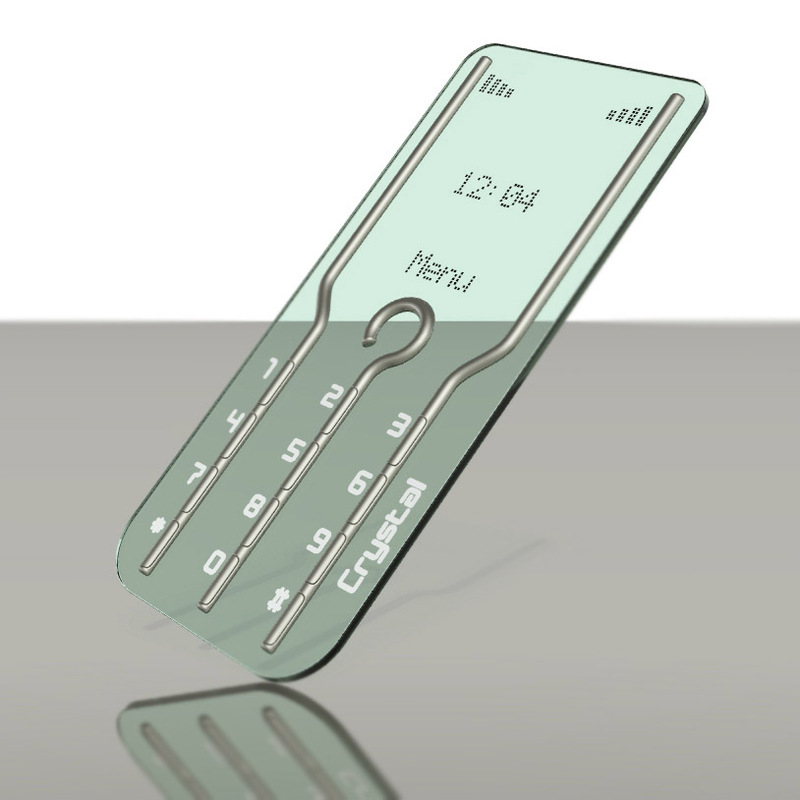 Some time ago I’ve shown you some pics of Rune Larsen’s two concept phones, and I mentioned that the smaller one would be close to impossible to manufacture, with today’s technology. 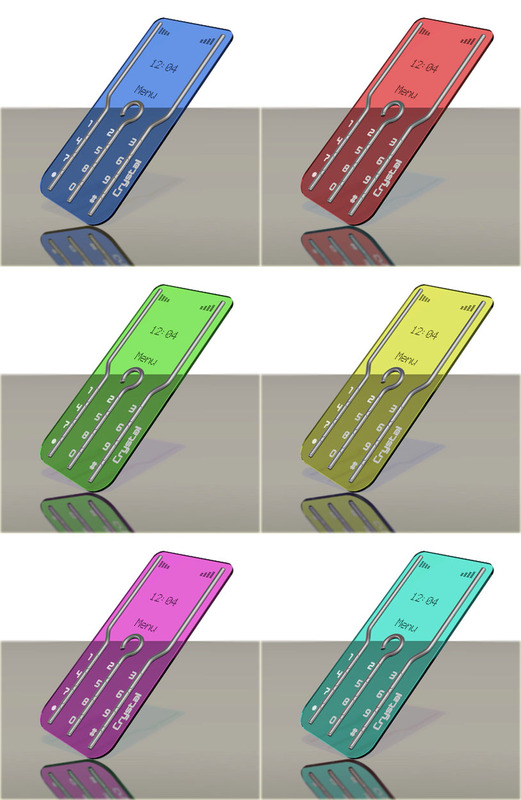 Well, Rune didn’t give up and he continued his designing, and now he released the “Crystal Phone”, which is amazing, but I don’t see any way it could be fabricated. On your right is a new picture of the Tiny Phone, all white and better designed than the first black pics. And below you can watch the Crystal Phone. As slim as a credit card, this is an awesome concept, but, unfortunately, it’s close to impossible to fabricate. They’re powerful, they’re cool and they are the smallest printers ever made. The perfect choice for traveling, these little gadgets are not expensive as it may seem. In fact, they’re quite affordable, and they will definitely match your portable notebook. They’re all developed by PrintDreams along with their patented technologies, RMPT lite and RMPT full. Feel free to check them out. I can fully guarantee they’ll make great presents. 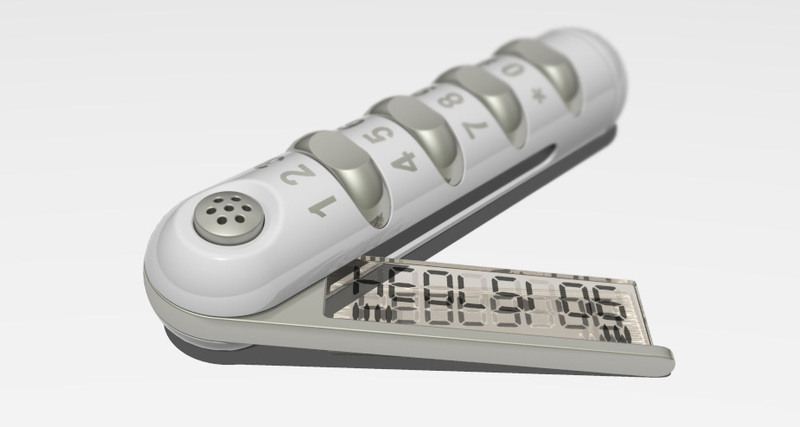 The Xyron Design Runner is probably world’s coolest creative tool. The first printer from the series, running their RMPT lite technology, the little printer is is a cordless, battery operated, handheld device that allows creative users to print a large variety of letters, shapes, icons, WordArt, borders and phrases directly into their projects. Creative users appreciate the fact that it is possible to print directly in media types that would never fit into a conventional printer device, thus allowing exceptional flexibility. There’s no need of a computer, wires or complicated download processes. The Xyron Design Runner retails somewhere around $160. 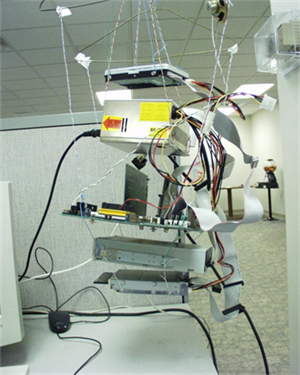 The Whooosh is scheduled for release in the second quarter of 2007 and it’s expected to be the coolest printer device. Using PrintDreams’ RMPT full technology, this will be the ideal tool to complement common drawing activities and make them even more fun and creative than ever. Users will be able to print out their favorite movie characters, figures, animals and much more directly in drawing books or other surfaces no matter format or size. Kids can also create their own art and uploaded to empty memory cards through an optional USB memory card burner accessory. The expected price will be around $150. The PrintBrush is the smallest printer ever made that can print full size format (A4 or letter size). Featuring the RMPT full technology, this gadget is expected to launch within one year from now. It will retail around $200 and in many ways, it will be even better than stationary printers or other so called “mobile” printers. For example, it will be possible to print directly in notebooks or other media that would never fit into a conventional printer device. It will also be completely silent allowing you to print during ongoing meetings, etc. On top of all that, no wires, no cables, no mess. I’m looking forward to try and closely review at least one of these little gadgets.